The teacher begins class by taking out her Glock. She casually walks to the front of the room and shoots a misbehaving student in the head. All the others immediately begin working on their assignment. It sounds like something from a horror movie. But it’s actually not all that far away from what real researchers at the Brookings Institution and Princeton University are suggesting we do. 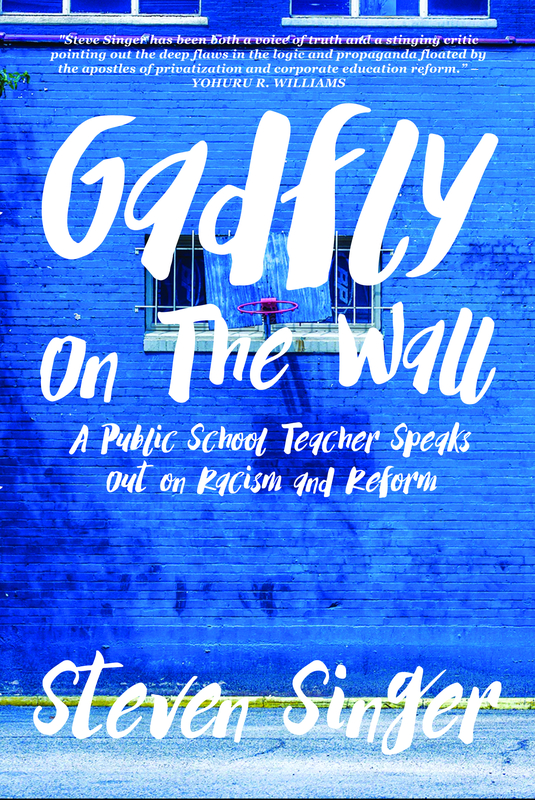 Sarah Cohodes has written a new report called “Charter Schools and the Achievement Gap” that praises “No Excuses” discipline policies at urban charter schools and suggests they be more widely implemented at traditional public schools serving the poor and students of color. Let’s return to the hyperbolic situation with which I began this article. The noise of a gunshot brings the principal racing to the classroom. She notices the slumped bleeding body of the shot child and walks up to the teacher ready to physically disarm and arrest her. But then she notices all the rows of neatly placed desks and the children diligently doing their work. She glances down at a paper here and there and notices that the children are getting most of their work correct. That’s perhaps the most immediate concern brought by Cohodes research – it proposes to evaluate a discipline model based solely on its academic results and completely ignores other aspects of the student experience. For instance, how does the model affect students’ social and emotional development? Is it harmful to students’ curiosity, self-motivation and psychological well-being? Pardon me, but these are important issues. I don’t care if my fictional teacher’s shoot first discipline policy gets students to do exceptional classwork. My daughter will not be enrolled in that class – nor do I expect anyone would want their child to learn in such an environment regardless of how well it maximized test scores. Let me be clear. This is hyperbole, but with a point. “No Excuses” discipline policies don’t result in any gunshot wounds or deaths (to my knowledge), but they do create environments that are not conducive to the flourishing of children. For instance, at a New Orleans charter school, students were punished for not standing straight, not sitting up straight, for putting their heads down, for closing their eyes for too long, for not tracking speakers correctly with their eyes! Between classes students had to walk single file between the wall and a line marked with orange tape. And they had strict dress codes. This is not school. It is prison. And it’s unsurprising that these sorts of discipline policies are found at urban charter schools like the KIPP network serving mostly poor and minority students. Cohodes champions them because – in her view – they get results. I say that she is missing the point. Her view of what is important in school is far too narrow. Moreover, it’s based on a misconception of what constitutes academic success. Cohodes concludes “No Excuses” policies work solely because schools with such policies tend to have students who get higher test scores. This is to make a few assumptions. First, it assumes that the number of students weeded out by such discipline policies isn’t significant enough to wipe out the apparent increase in scores. The punishment for breaking the rules at these schools is often detention, suspension or expulsion. Every child who is enrolled at the beginning of the year isn’t there by testing time. How do we know that the school hasn’t lost so many students who couldn’t obey the rules that they wipe out any gains in testing? Second, she is assuming standardized testing provide accurate assessments of knowledge and skills. This is far from an accepted premise. These tests have repeatedly been shown to be both economically and racially biased. Cohodes is assuming that since the students scoring better on the assessments are still poor and predominantly black, what they’re being tested on is fair. Standardized tests are poor assessments. Multiple choice exams do not possess the flexibility to allow for creativity and depth of knowledge. They simply expect a “standard” student to think a certain way and reward dissimilar students for conforming to that standard. “No Excuses” charter schools may be better at getting different children to act and think alike, but that is not necessarily an endorsement. Cohodes concludes that these gains in test scores are ultimately beneficial because they will lead to success at college. However, numerous studies have shown that charter school students end up dropping out of college at higher rates than traditional public school students. They simply haven’t learned how to motivate themselves to learn without the rigid, military structures of the charter school environment. One can imagine similar outcomes for charter students (successful charter students) who immediately enter the workforce. None of these considerations make it into Cohodes research. She jumps from the brilliant standardized success of “No Excuses” charter schools to the need to include these policies in traditional public schools. Cohodes worries that the charter school sector can never fully compete with traditional public schools, so we need to make traditional public schools more like charter schools. However, I cannot imagine many parents would jump at the chance to have their children treated like prison inmates for the chance of higher test scores. Unlike charter schools, public schools have school boards. They have to make their decisions in public and are accountable to voters who can come to the public meeting, protest and even run for a seat on the board themselves. In short, this is a terrible idea. It is somewhat staggering that a grown adult could look exclusively at the data and come to such a conclusion without considering what it means for flesh-and-blood students. Not only that, but we’re talking about predominantly black and brown students. Is it somehow more acceptable because we’re talking about turning schools serving darker skinned students into Guantanamo Bay? Would it be as acceptable for rosy cheeked affluent white kids? This is what happens when you let economists set public policy. It is essential that we include parents, teachers, psychologist and even students in the processes. Otherwise, we’ll continue to get heartless number crunching offered as sincere solutions to our problems.